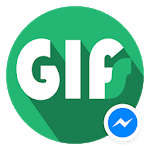 GIFs brings to you the best of animated GIF images and lets you share it to Facebook Messenger and other Social Media just in one tap. 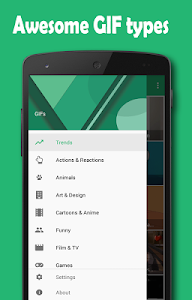 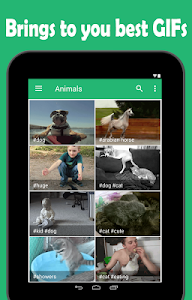 With GIFs you can explore and search a thousands of GIFs and memes. 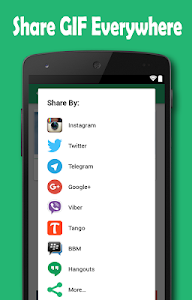 • Share GIF to other social media like WhatsApp, Instagram, ...etc. 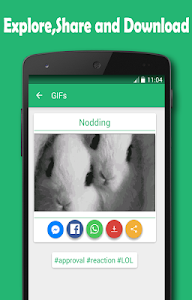 • Two GIF resolution : Normal and Low. 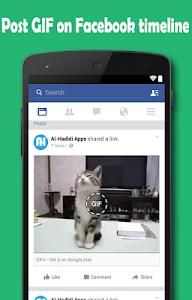 So with GIFs there's no need to word and let GIF express about you. 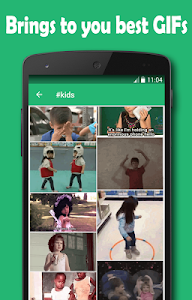 GIFs content powered by Riffsy, Giphy and other websites.